Even though St. Patty’s Day was last Saturday, I’m still celebrating! I love everything about the Irish and can’t wait until me and the family can travel to Ireland next year. But until then, I will just have to make my own dishes to get the taste of their cuisine. Colcannon is traditionally made from mashed potatoes and cabbage with bacon and onions added. You can add other ingredients if you want. 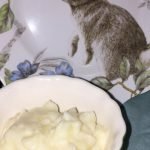 For this recipe, I used slaw to experiment and I liked the flavor it added to the potatoes. I didn’t have a head of cabbage on hand but did have the slaw. Sometimes you have to substitute and see what happens. I was pleasantly surprised. 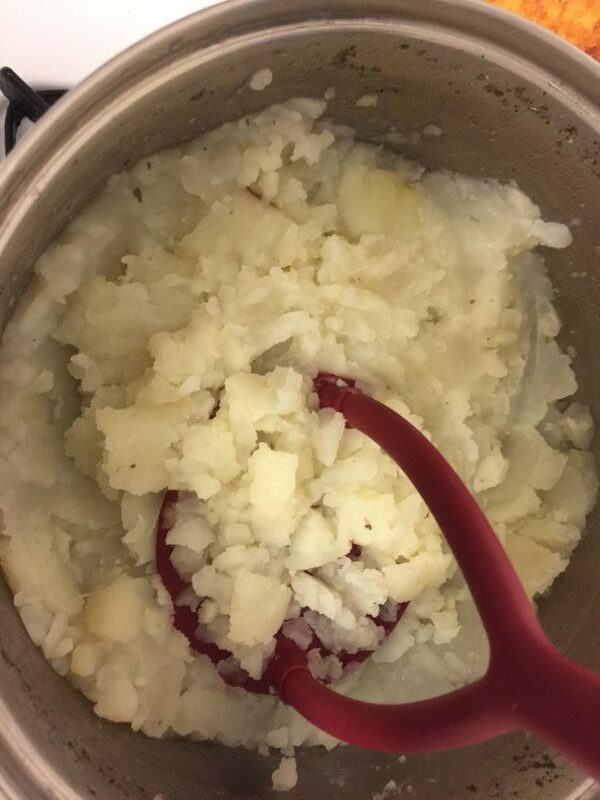 Boil potatoes in salted water until tender. Drain. Add salt and pepper to taste and parsley if desired. Add sour cream and 4 Tbsp. of butter. Mash or whip until desired consistency. Fry bacon over medium heat until done. Drain most of bacon drippings. Add 2 Tbsp. of butter to bacon drippings and onions. Add cabbage to butter and onion mixture and saute for 5 minutes. Slowly add slaw mixture to potato mixture. Chop bacon into small bits. Add to top. First I washed and peeled 4 large potatoes. This recipe calls for more but today I am only making enough for 2 people. 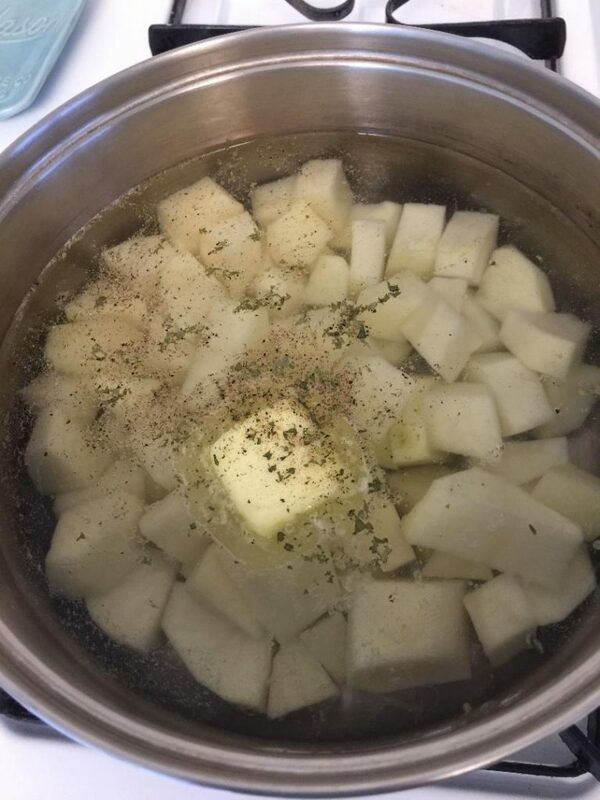 After cubing the potatoes, I add them to a pot of water with salt and parsley and begin to boil. 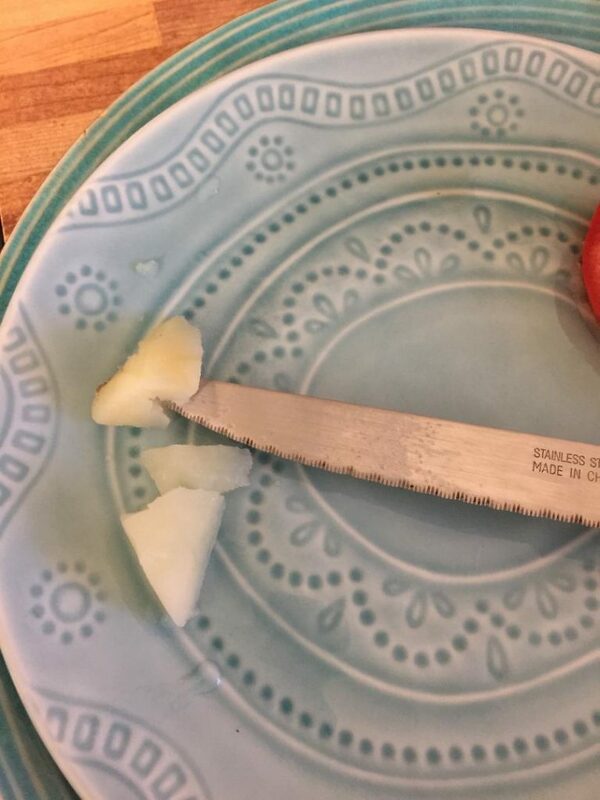 Once the potatoes are soft enough for a knife to push through easily, remove from heat and drain the water. Add your sour cream and milk and mash. I like to keep them slightly lumpy. You may whip them with a mixer if preferred. Now to the cabbage. If you have bacon you would like to use, fry up 3 slices of bacon in a skillet over medium heat. When the bacon is almost done, add in a half of a diced onion. Once these are done, drain some of the grease out and then remove the bacon. Add back the onion to the grease and then add your shredded cabbage to the skillet. Heat this mixture for around five minutes. All you are doing is just marrying the flavors of the bacon grease, onion and cabbage. I skipped the bacon for my version. 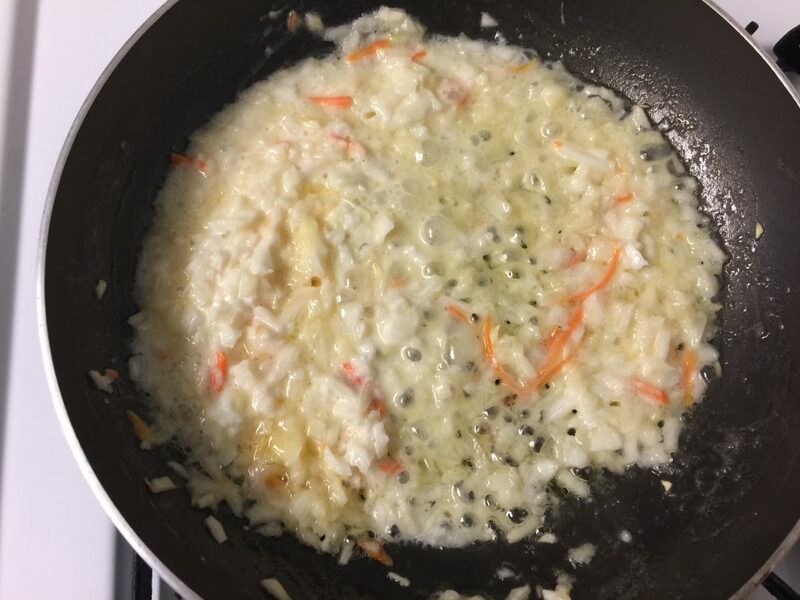 Instead I used butter and then sauteed the slaw. Once your cabbage or slaw mixture has finished mixing, slowly add it into your potato mixture. It sounds bizarre, but trust me, it is so delicious. Suggestions to serve with the colcannon would be corned beef or a nice fish dish. 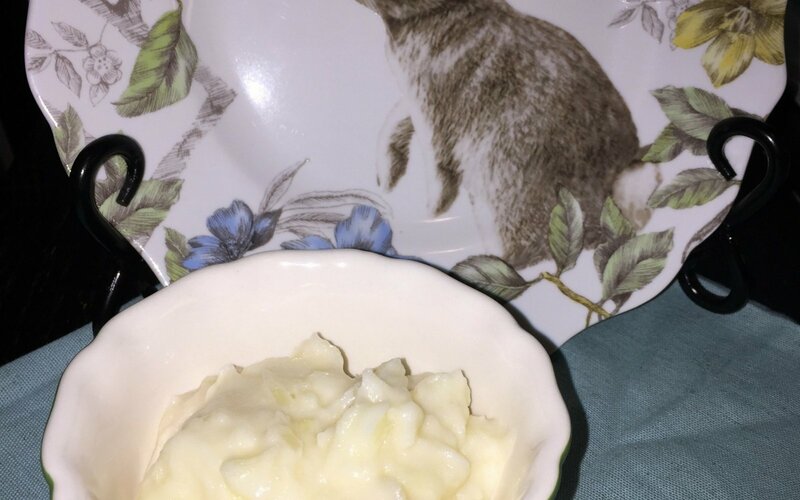 I hope you will add this sweet little dish from Ireland to your next St. Patrick’s Day celebrations!